No 1 Brownie camera model B original carton. 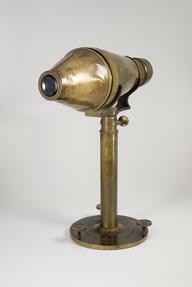 Eastman Kodak, 1900-1915. Packaging for No 1 Brownie Model B, Kodak, Eastman Kodak Company, 1901-1915. 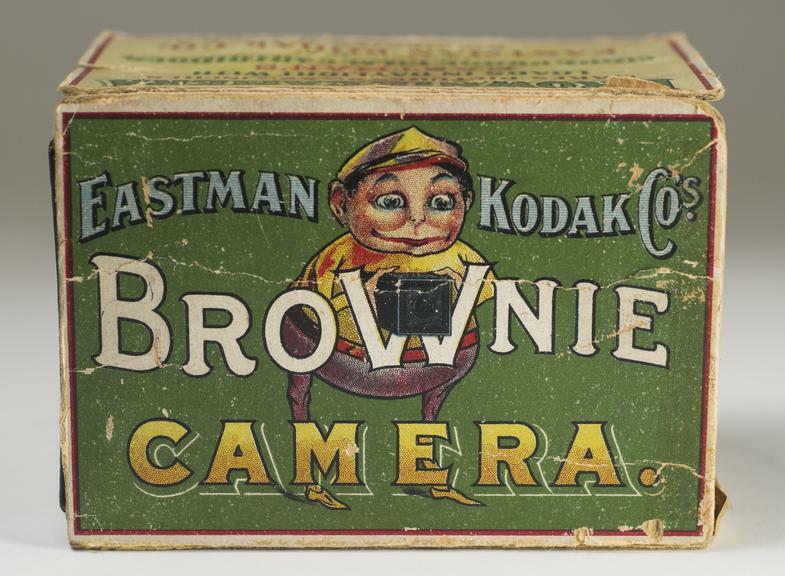 George Eastman marketed the original Brownie to be an inexpensive camera for the mass market; when first introduced in 1900, the price of the camera was just $1(about 25p). 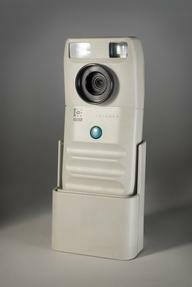 As well as being cheap, the camera was extremely simple to use, even for children. 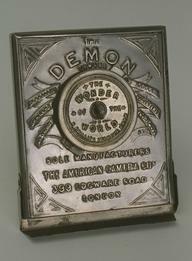 Eastman named the camera after characters popularised by the Canadian children's author, Palmer Cox, illustrations of which feature on the box.